When the original Star Wars hit theaters in 1977, Steve Sansweet was 31 years old. Like many fans, he said it changed his life. And did he ever. 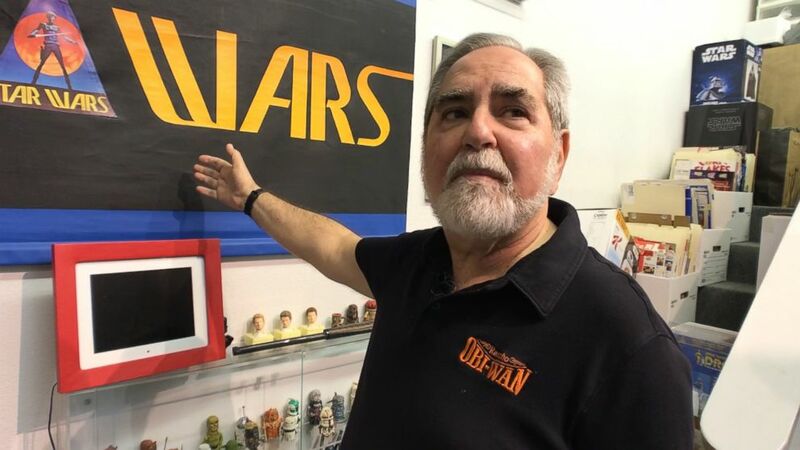 Twenty years later, Sansweet has amassed the largest collection of Star Wars memorabilia in any galaxy — somewhere north of 400,000 items. He’s even gotten certified by the folks at Guinness World Records. “We have things from all over the world,” Sansweet said, picking up a Chewbacca action figure from Japan. 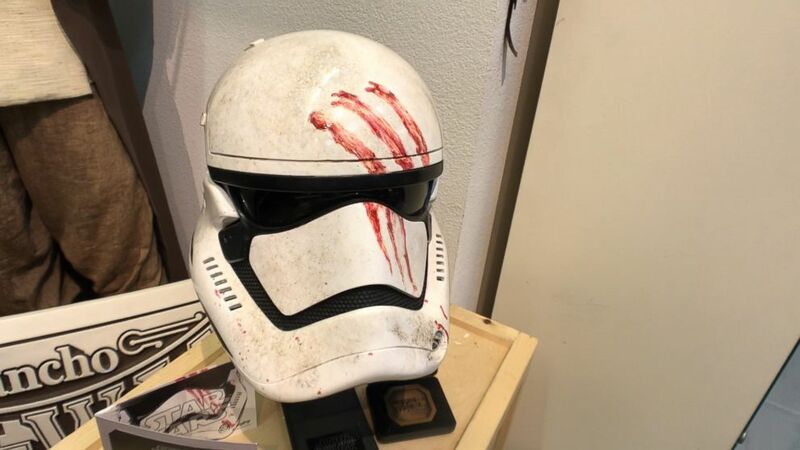 Rancho Obi Wan displays props and replica props, like Finn's First Order Stormtrooper helmet from "Star Wars: The Force Awakens". Sansweet, a former Wall Street Journal reporter and head of fan relations at Lucasfilm, is now the CEO and president of Rancho Obi-Wan, a non-profit museum based out of an old chicken ranch in Petaluma, California. If it’s Star Wars, it’s here. 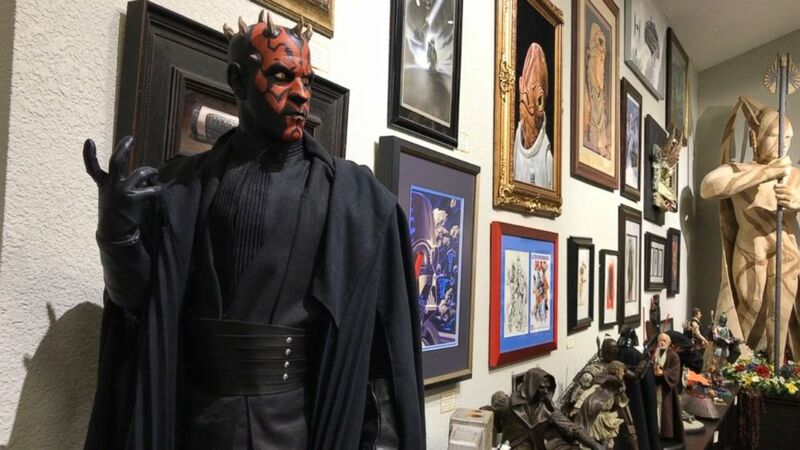 The 9,000-square-foot museum is packed floor to ceiling with virtually every Star Wars action figure, bed sheet, book, costume and video game ever made. Steve Sansweet founded Rancho Obi Wan in 1998. Here he points to a banner made to promote Star Wars at sci-fi conventions before the film was released. Sansweet even has rolls of, yes, Star Wars toilet paper. “I have one that says, ‘stormpooper,’” he said. 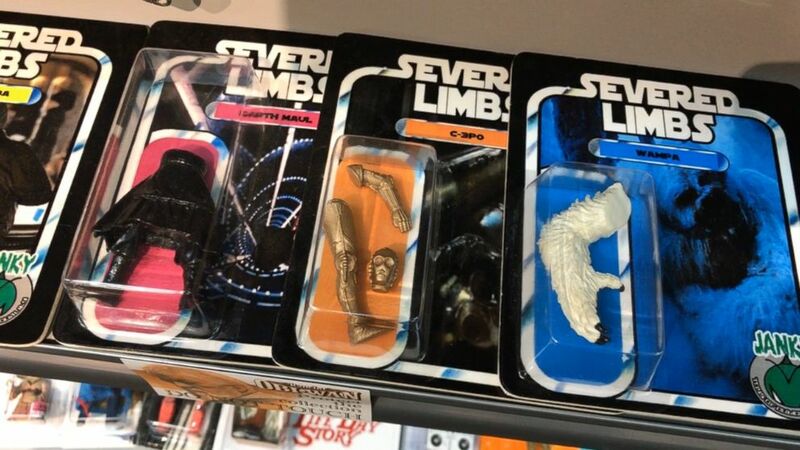 Fan made "severed arms" action figures at Rancho Obi Wan. “In the early days, there was no home video. So the toys represented the only thing that you could have,” said Sansweet, who is now 73. Sansweet has pieces of the original Death Star, purchased for $800 from a man he said needed rent money. A few of his prized possessions include a couple of rocket-firing Boba Fett action figures that were made but never released because the missile was considered a choking hazard. 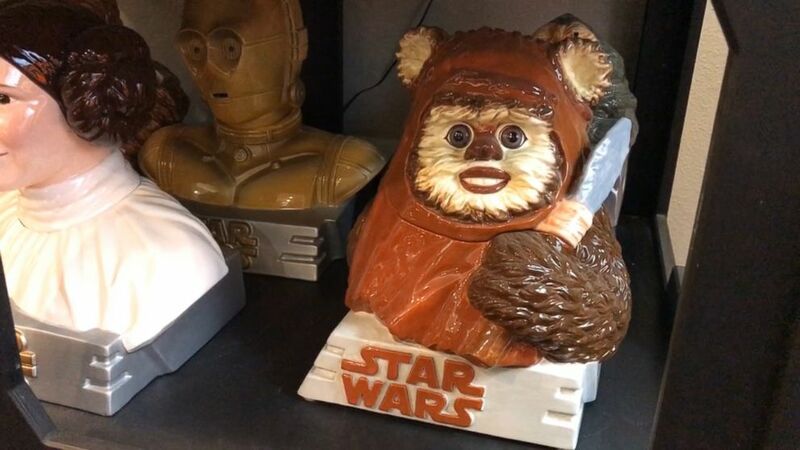 An Ewok cookie jar is one of many found on the shelves at Rancho Obi Wan in Petaluma, Calif.
“I don’t like to about talk money but one of these went for $86,000 at a recent auction, which just means there are people with more money than common sense,” Sansweet said. Sansweet added that he’s not independently wealthy. He managed to build his collection, he said, by buying most things new, right off the store shelves, before they turned into vintage collectibles. One of Sansweet’s favorite pieces is a fan-made Imperial AT-AT walker, cobbled together out of wood, nails and silver spray paint. Sculptures and paintings, some made by Star Wars fans, take up a large section at Rancho Obi Wan. There are a few adults-only products in the collection too, but they are not on the public tour. “There are things people have made that are a little X-rated,” he said. 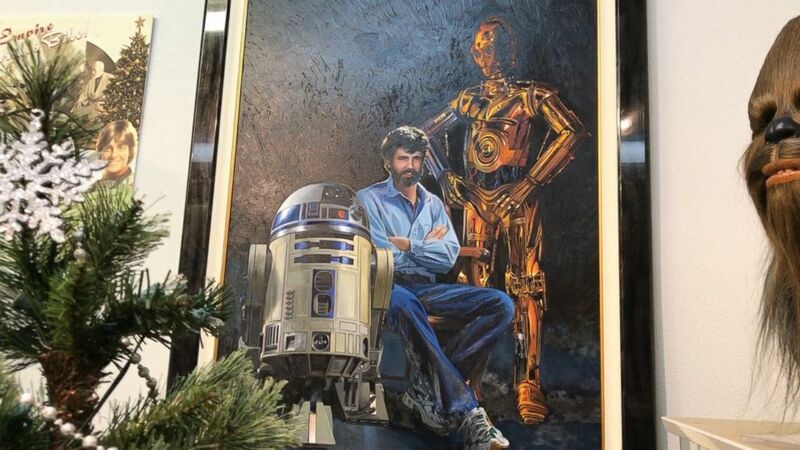 A fan-made painting of Star Wars creator George Lucas along with droids C-3PO and R2-D2 hangs on the wall at Rancho Obi Wan. With so many items from new Star Wars movies, TV shows, books and comics on the way, Sansweet said it’s getting harder to figure out where to put it all. “Star Wars,” Lucasfilm and ABC News are owned by parent company Disney.